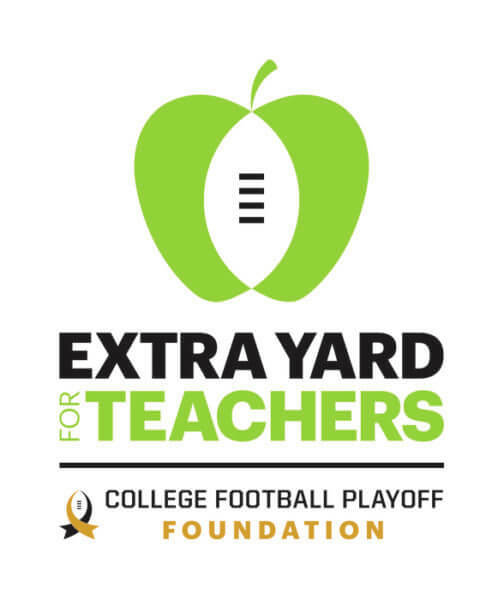 NIU Athletics, through its association with both the Mid-American Conference (MAC) and the College Football Playoff (CFP) Foundation, will distribute $5,000 to local school districts and help fund projects at three local elementary schools, through the Extra Yard for Teachers initiative this year. During the 2018-19 academic year, the MAC is providing $5,000 to each of its member schools to be distributed to local school districts in support of community-based programs. Through its $5,000 share, NIU will support both the DeKalb School District and the Sycamore School District. The DeKalb School District will use the funds to support faculty and staff professional development as the district implements the diversity plan developed over the past several years in conjunction with professors from NIU, while the $2,500 sent to the Sycamore School District will be used to support Second Steps, a program that involves direct instruction regarding social-emotional learning to encourage strategies in building positive relationships, conflict resolution, making good choices and being kind. As part of this program, the funds will be used to provide supplies for the after-school program, which employs many NIU students. This is the second year of the MAC’s community program and will become an annual event. The funding for the grant is provided through the MAC’s partnership with the CFP Foundation. In addition to the MAC/CFP Foundation grant, NIU is celebrating Extra Yard for Teachers Week, an annual salute to teachers that recognizes their hard work and dedication. It will be promoted by the CFP Foundation at this Saturday’s football game versus Central Michigan. Through the Extra Yard for Teachers promotion, NIU Athletics was able to support three local school projects through donors-choose.com, which helps to support and fund projects on the classroom level. This year, NIU is helping to fund projects at Lincoln Elementary School in DeKalb, Southeast Elementary School in Sycamore and Cortland Elementary School in Cortland. The classroom teachers from Lincoln Elementary School and Cortland Elementary School will be honored during Saturday’s game.